The bizarre case of Elisa Lam–What happened to her? Elisa Lam-a 21 year old student from Vancouver, Canada. She seems happy and carefree in the above photo. But the story of her death is one of the most bizarre and mysterious I have come upon. I learned of it from a friend. I am interested in missing persons cases, especially cases that boggle your mind to the point you see it as a puzzle that’s impossible to put together. Lam’s dead body was found decomposing in a water tank of the Cecil Hotel, located in downtown L.A. While her death was ruled an “accidental drowning”. Supposedly no drugs or alcohol were found in her system. But there are so many factors to this case that are so bizarre they only bring on more questions. The oddest of events is most definitely an elevator surveillance video capturing what are perhaps the last moment’s of Elisa’s life. Her behavior is so strange, it’s difficult to tell exactly what is happening. The following is a video that was released by LAPD in the two weeks that Elisa was missing before her body was discovered. What’s more disturbing? She was discovered when hotel residents started complaining of low water pressure and the odd color of the water. They had been drinking and bathing in the water in which Elisa’s body was found floating. Was Elisa killed? Was she hiding from someone who ultimately did her harm? The Cecil Hotel is located in a seedy neighborhood of downtown L.A. Perhaps she met with foul play. Was she having some sort of mental episode that caused her to be paranoid and climb to her death herself? Why was Elisa traveling in L.A. and why was she alone? Theories on the Internet range from murder, to mental illness, even possession or paranormal activity. Whatever happened to Elisa that night, perhaps the most unsettling fact is that we may never know. 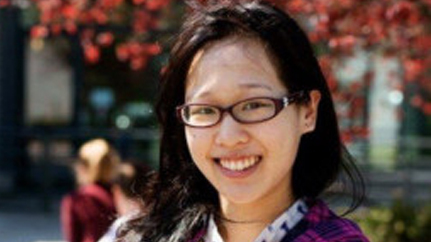 The important thing to keep in mind is that although the story is morbid and bizarre, Elisa Lam was a human being with plenty of people that loved and cared for her. Her death, above all, is tragic. So, what happened? What is your theory? Share yours in the comments below.